It’s been a bit over a year since we last posted about a variety of Napoleonic warfare titles and thought it was about time for an update. Battles of Napoleon: The Eagle and the Lion — The bad news here is that the company that actually developed the game has folded. Fantasy Flight Games is only the distributor. This means future updates for the game are certainly in doubt. On the positive side Wings of War was in the same boat and recently got picked up by another company so there is some hope BoN will be saved similarly. 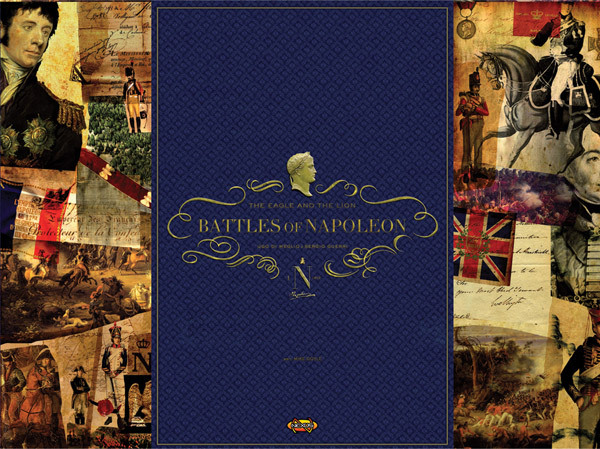 Napoleon’s War: The 100 Days — Battle Pack 1 and Battle Pack 2 are both available. They include new maps and scenarios but no new figures. Napoleon’s War II that covers the invasion of Russia should be out soon. Commands & Colors: Napoleonics — GMT Games released its latest addition to the Commands & Colors line. It is probably the most approachable of any of the Napoleonic titles (NW is just as easy but C&C:N blocks are less fiddly than the NW figures). It is a lot of fun and coming soon is the Spanish Army expansion. 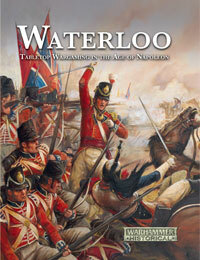 Waterloo — Warhammer Historical has gotten in on the Napoleonic fun as well with their new Waterloo miniature rules. The rules are a large 288-page hardback book “… representing the forces of France, Britain, Prussia or their allies. 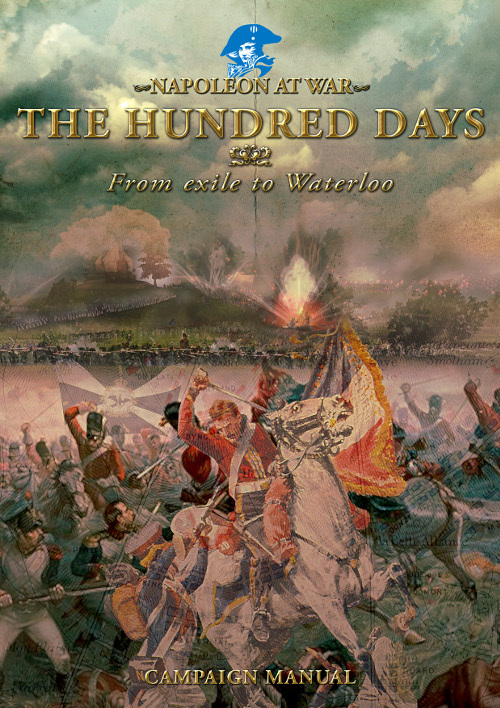 This rulebook is focused on the campaign and battle of Waterloo, the climax of the Napoleonic Wars, but the rules within allow you to recreate battles from across the entire period (1792-1815) and even beyond.” We have not seen this yet but it sounds good. Black Powder — Rick Priestley and Jervis Johnson, both of GW fame, produced a new set of miniature rules that cover Napoleonic warfare. Specific Napoleonic supplements will be out soon but the 184-page hard back core rulebook covers the basics. The rules are intended for 28mm but easily modified for any scale. 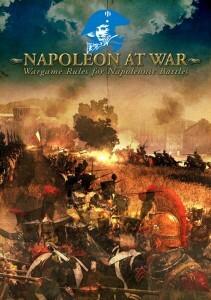 They are perhaps not the best choice for a first time Napoleonic gamer but are well done. 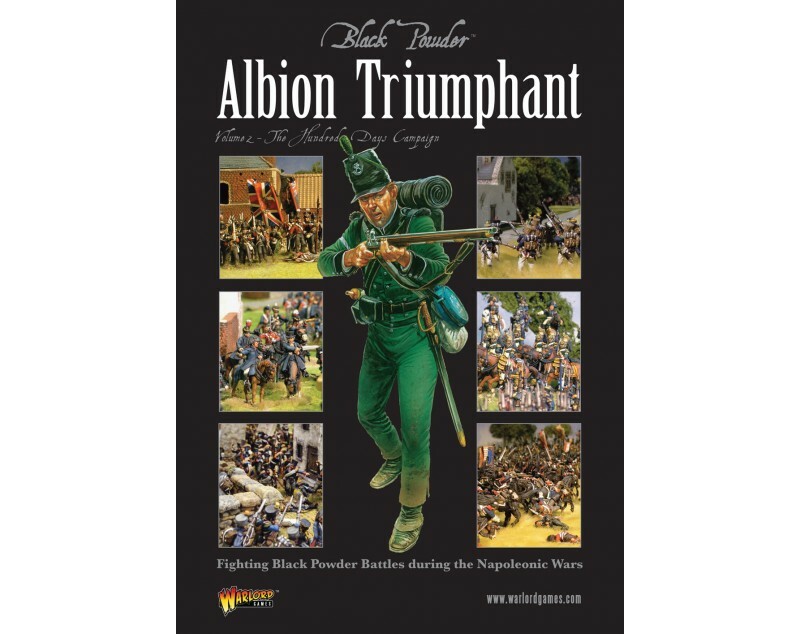 March Attack — Crusader Publishing has also released a new set of easy to play Napoleonic Rules called March Attack. Napoleon at War — Perhaps the most interesting development is Man at War Miniature Games’ release of the new Napoleon at War miniature rules and miniatures line. We have now seen these in person and they are very well done. Man at War seems to be attempting to do for Napleonic warfare what Battlefront did to WW2 mini gaming with Flames of War. The rulebook is extremely well presented — and FoW-like — and the minis are equal to if not nicer than Battlefront. The miniatures are 18mm and are being released in various boxed unit sets. All of this is designed to make Napoleonic gaming easy to get into for the newcomer. It remains to be seen if Man at War will be successful but if you have any interest at all in Napoleonic miniature gaming Napoleon at War is certainly worth a look. We hope to have more soon. The Meeples & Miniatures podcast Episode 79 has a great review of Napoleon at War. Noble Knight Games is one U.S. based distributor we found that carries the NaW line and we found them very responsive. This entry was posted in 15mm, Napoleonic Warfare, News and Updates.